With the beginning of SEC Media Days this week, Ole Miss has released its two-deep football roster (below). We’ve added a few items of note following the depth chart. In what would certainly be excellent news for Ole Miss, wide receiver D.K. Metcalf is listed on the two-deep chart as a redshirt freshman. 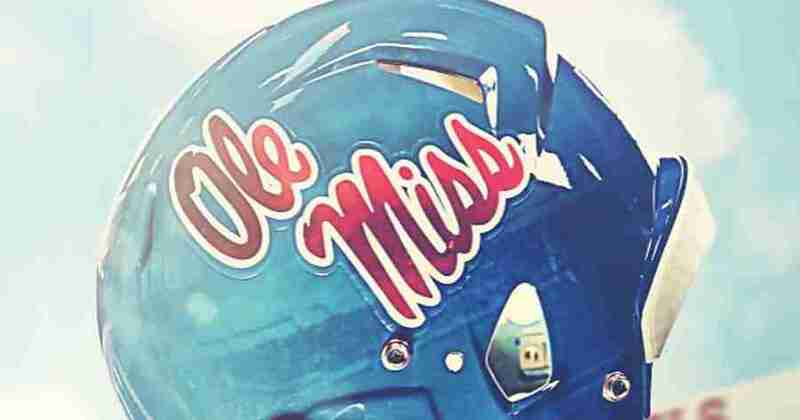 This leads one to hope the talented receiver has been granted a medical redshirt after breaking a bone in his foot in the Rebels’ second week of last year; although, Ole Miss has not officially announced the granting of this additional year. The Ole Miss offensive line looks to be experienced this season, with Greg Little at left tackle, Javon Patterson at left guard, Sean Rawlings at center, Jordan Sims at right guard and either Alex Givens or Rod Taylor at right guard. Three members of the Class of 2016 are also listed in the two-deep chart: left tackle Royce Newman, left guard Jack DeFoor and center Eli Johnson. At running back, senior Jordan Wilkins is listed as the starter, with sophomore D’Vaughn Pennamon and senior Eugene Brazley listed together at backup. 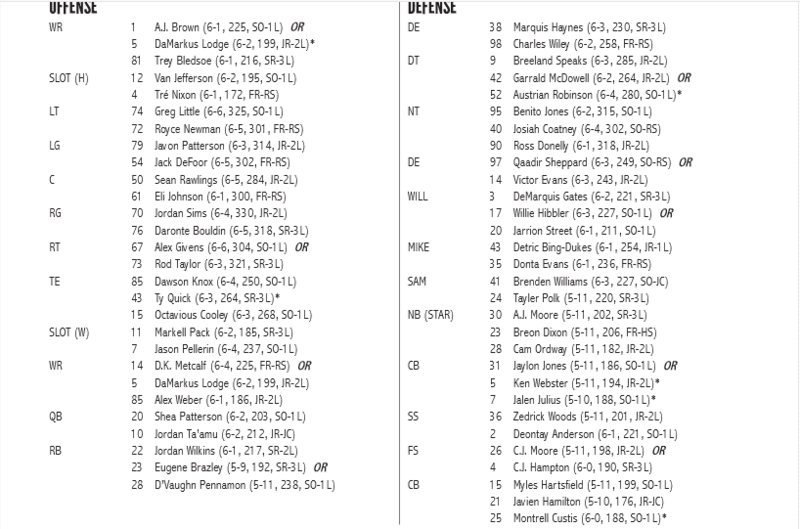 Sophomore running back Eric Swinney, who suffered a season-ending injury in the opener against Florida State last season, is not listed on the two-deep chart. Senior Chucky Mullins Award winner Marquis Haynes will be backed up at defensive end by redshirt freshman Charles Wiley. Sophomore Myles Hartsfield, who moved to corner from safety this spring, is listed at starter at one of the corner spots. Jaylon Jones or Ken Webster are listed as the likely starter at the other corner.